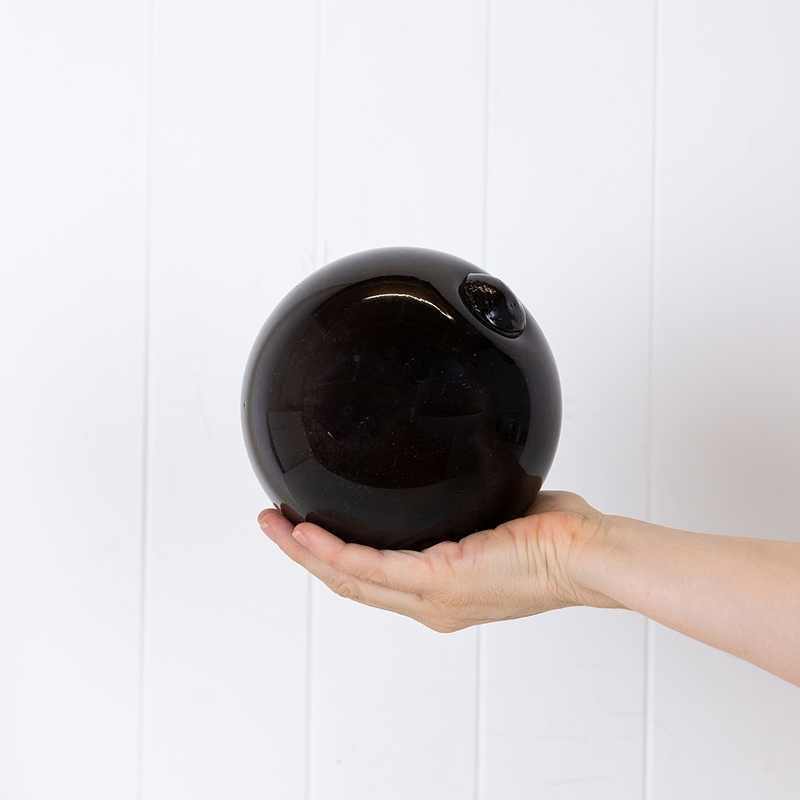 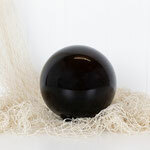 This 6 inch or small rockmelon size glass float reminds me of a fortunes teller's magic ball. Recently acquired from a collector, the glass is such a dark colour that it almost appears black. 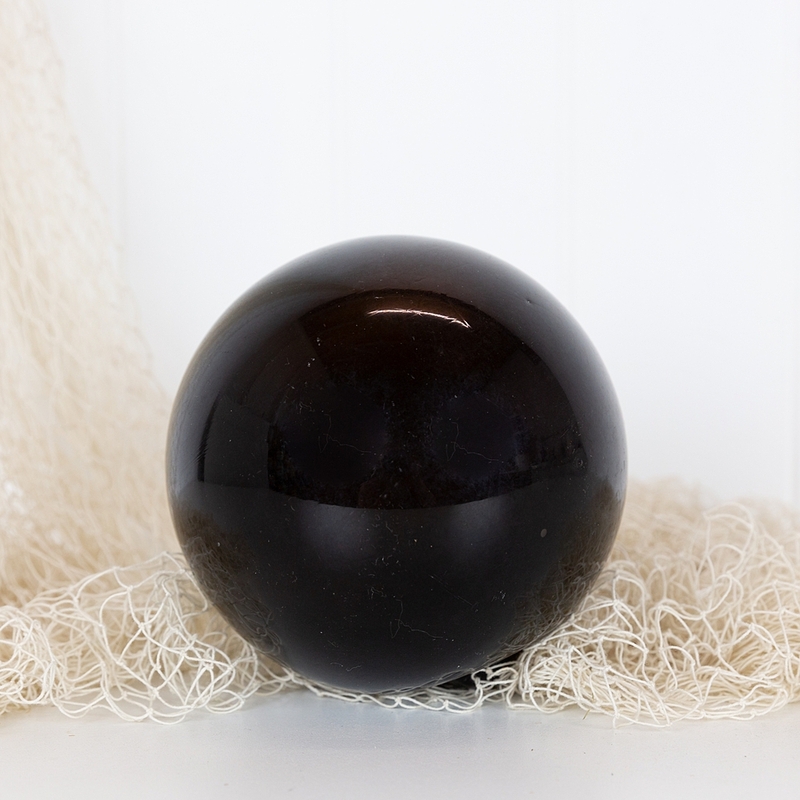 When held to the light a dark purplish brown colour can be seen.